For this month’s travel post, instead of a far off land, I’ve chosen a more accessible destination — the Ocean State. At least it can be reached by car if you’re one of my readers in the Northeast. Outside of Newport and Block Island, which have for years been frequented by the well-to-do, most of the world is unfamiliar with the undiscovered gem that is Rhode Island in the summer. About a two and a half hour drive (without traffic) from NYC, as soon as you set foot on the beach and take in the salt air, all the stress from the city will disappear. Narragansett and the surrounding areas in South County have been a favorite haunt of mine since college. (Thanks to a very good friend whose family has a beach house there that they have graciously allowed me to use as a de facto part of the family.) The Town Beach is lovely to walk, with golden, shell-flecked sand and waves that gently lap the shore. Where the river meets the bay, you can float along with the current (with or without a tube) out toward the ocean. For those looking for a little more adventure, the sea kayaking and surfing opportunities are endless. You can even take surf lessons or rent a board or a paddle board through Warm Winds or Narragansett Surf and Skate. And this is true at beaches around the state. 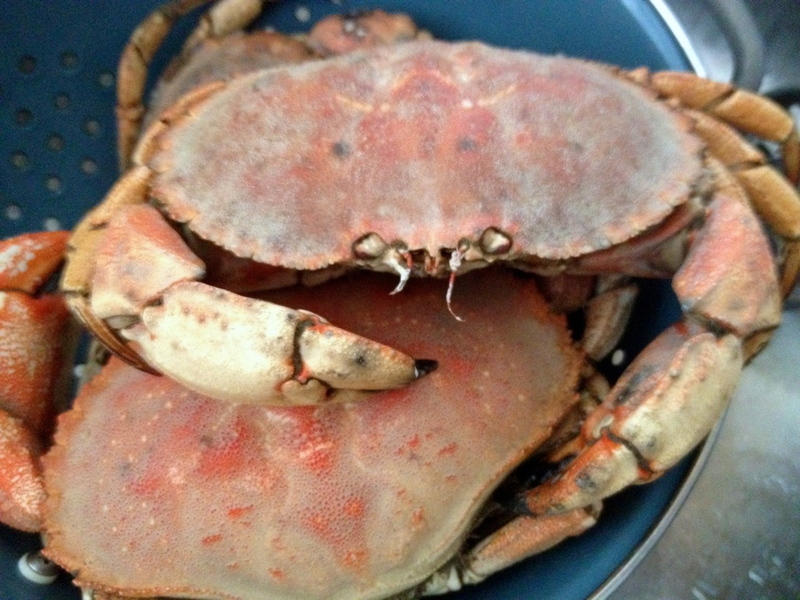 If you have access to a boat or the bay, you can go fishing, crabbing or my favorite, quahogging (clamming). There’s no reasons to be indoors unless it’s raining. Besides the countless activities to try, there’s no shortage of dining options either. 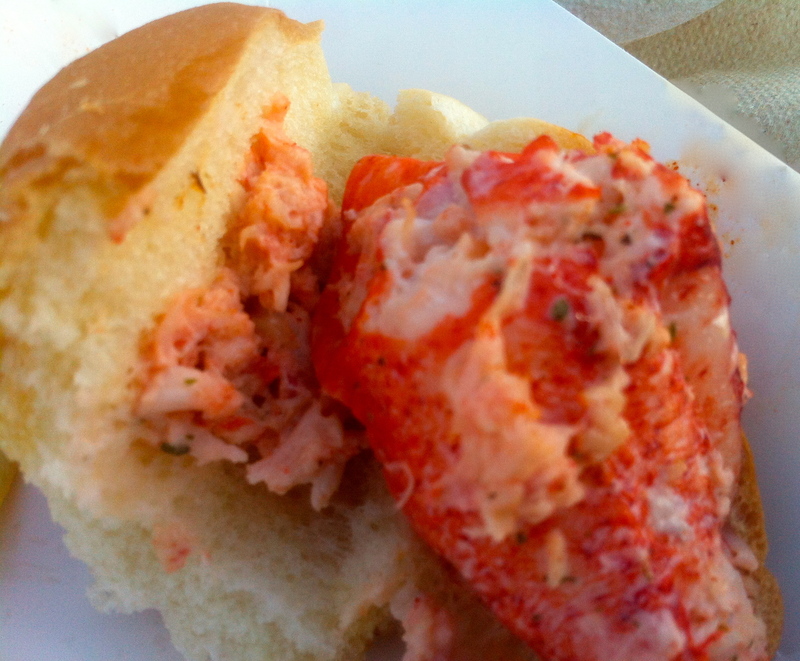 This summer there were food trucks every Wednesday night in Narragansett. 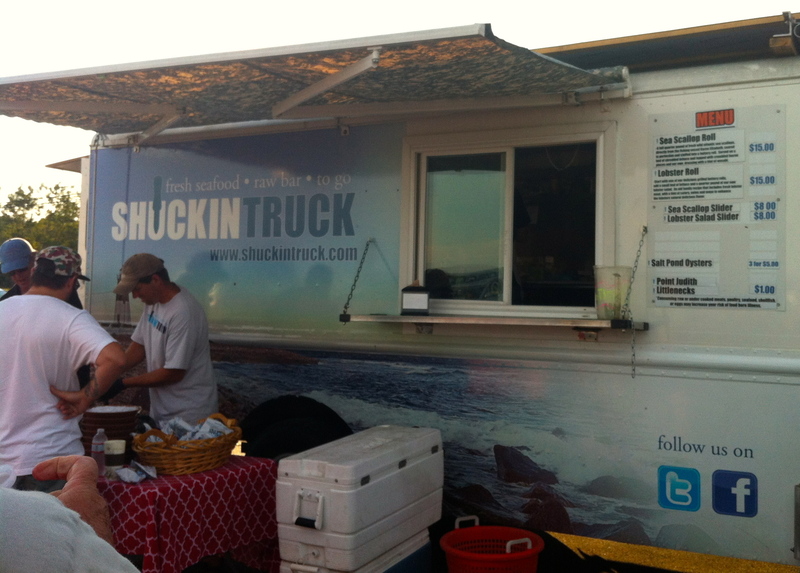 The Shuckin’ Truck offered fresh, raw salt pond oysters and little necks. And a very delicious lobster salad too. 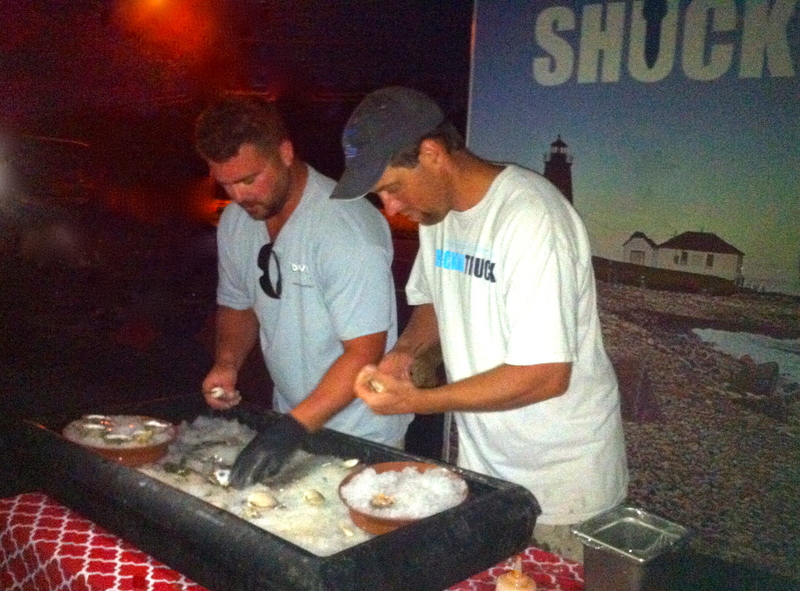 They don’t get any fresher than this! In addition to Roxy’s hot lobster roll sautéed in butter or cold one with mayo, they had an excellent Caribbean fish sandwich and dough boys (fried dough). If you wanted something other than seafood (gasp! ), there were also trucks serving Pizza By Fire and Eddie’s BBQ. There was something for everyone. Shockingly, none of the food trucks had the infamous clam cakes that are a standard Rhody post-beach treat. But that’s easily resolved with a visit to one of the local hot spots: Monaghan’s, Aunt Carrie’s or Iggy’s. All are in between Narragansett Town and Scarborough beaches. The jury will always be out on who has the best because it just depends on the sack of fried goodness you get. Some are loaded with clams and others not so much. Wash it all down with a Del’s lemonade, of course. 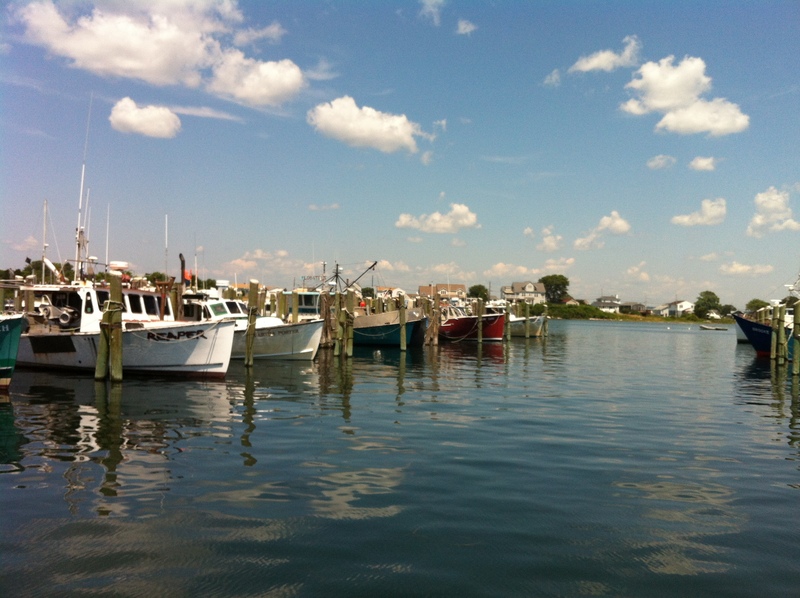 For a casual sit down meal, try Jim’s Dock for the best steamers around. This BYOB place also has some of the best stuffies (for those of you that don’t know, stuffies are clams – quahogs as they call them in these parts – chopped and added to some bread-based stuffing usually with chorizo, celery and onion). Add a few dabs of tabasco, and they’ll think you’re a local. One of my favorite places for oysters is Matunuck Oyster Bar, where there’s an oyster bed within wading distance from the main dining room. 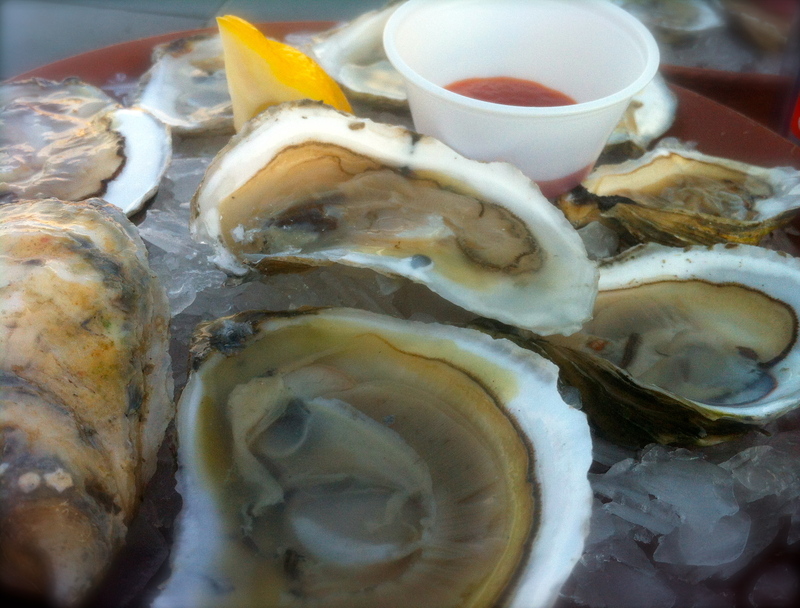 Make it for the $1 oyster happy hour if you can snag a seat. Looking for something more upscale or a different area? Head over to Watch Hill for dinner at the Ocean House. Or try Ella’s Fine Food & Drink in Westerly. Both have consistently been getting rave reviews. 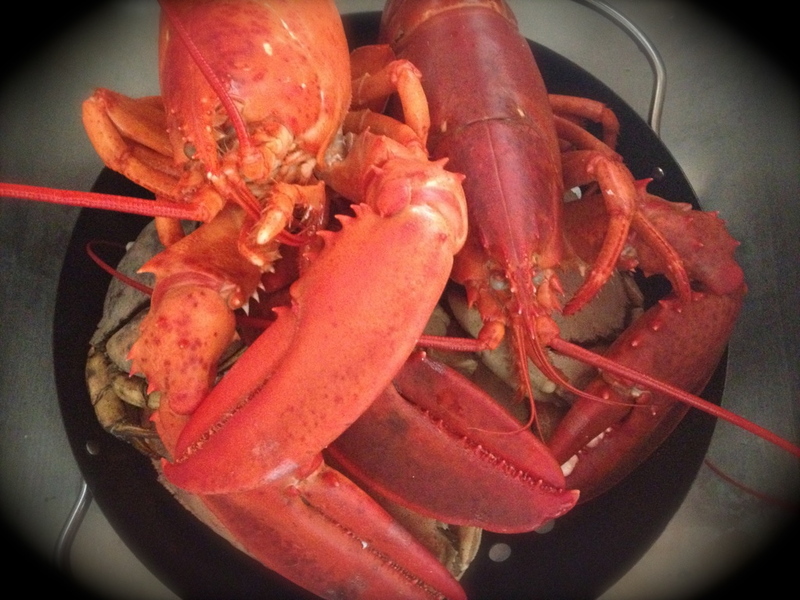 Or if you prefer cooking, like me, pick up some lobsters, clams and even some scallops at Narragansett Bay Lobster Co. in Galilee — it’s cheaper than the boats nearby. But definitely grab crabs from the boats on the docks. 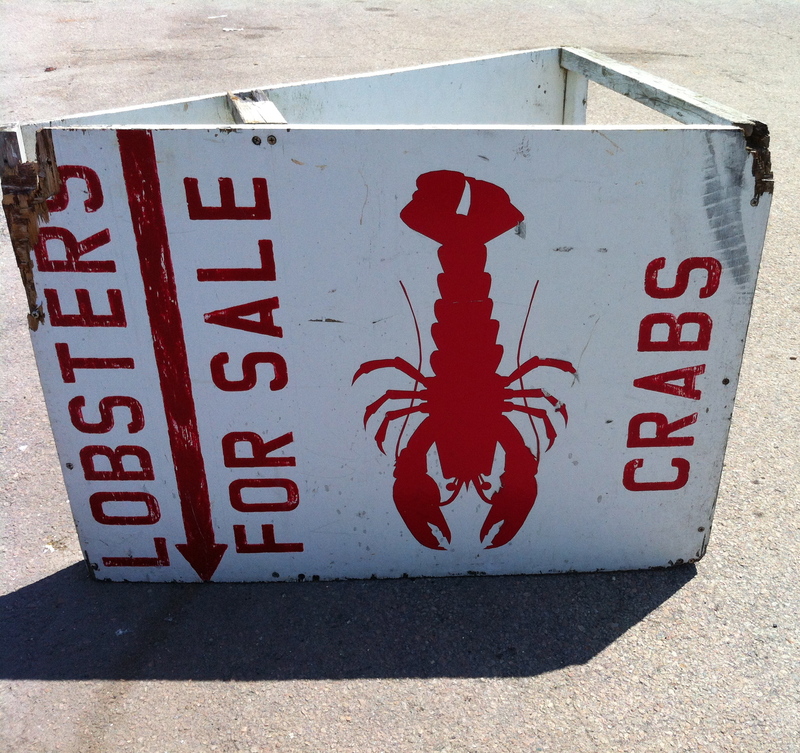 Stick with those places instead of the more expensive fish markets. 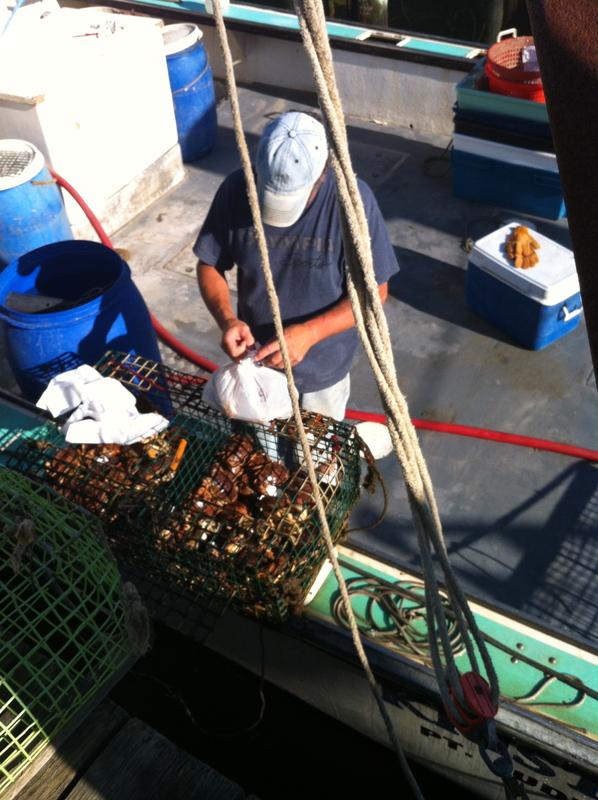 Lobsters have been cheap this summer almost everywhere on the East Coast. So I’ve been eating a lot of that. While people love to grill, I think the easiest and tastiest way is to just steam them with Old Bay and some lemon for 12 minutes. This bright red color should be what you get. The crabs here are rock crabs (not blue ones) with meaty legs and claws, and at just $10/dozen make for a fun time of eating. 5 will serve you well unless you have a group ready to pick, and the fishermen will happily sell you a half dozen. Check out FB for a slightly blurry but somewhat entertaining video of me cleaning crabs taken courtesy of my friend Annie, who is the president of The World Skin Project, a non-profit dedicated to raising skin cancer awareness. (She will give you plenty of options to try if you’re staying of the sun and make sure you have sunscreen on if you don’t.) After she was attacked by a crab at the age of 3, she had a giant fear of crabs, which she overcame this summer thanks to me killing them in front of her. Fortunately (or not), there’s no video of that. The water and the food are not the only reasons to love South County. There’s almost always something going on at the beach, be it classical music concerts, an open air movie or fireworks. Or check out the performance at the nearby Theatre By The Sea. I’m happy hanging out as late as possible on the beach and then grilling at home for the night, but if you want to go out, find out the trivia schedule at the local bars in the quaint town of Wakefield or head to Matunuck, which has a strip of places by the beach, including the Ocean Mist (order the Iced Coffee with love) where there’s usually live music. Plus, there are tons of festivals throughout the summer. The annual Blessing of the Fleet road race and seafood fest is good fun for all ages, usually around the end of July in Narragansett. 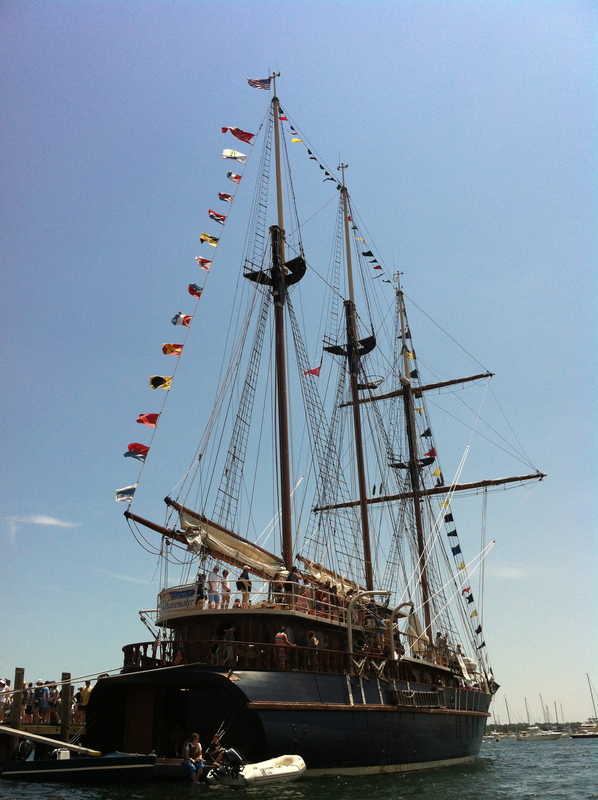 And with the Charlestown Seafood Fest, the parade of Tall Ships, Newport Jazz Fest, Newport Folk Fest, and the annual Labor Day Rhythm & Roots Festival at Ninigret Park, there’s always something going on. September is also a great time to visit when it’s less crowded and cheaper to rent a place. But if you can’t make it this month to see why I’m such a fan, start planning ahead for next summer! You know I love Rhode Island! This just makes em want to go back right now. ps. Love the crab video haha!